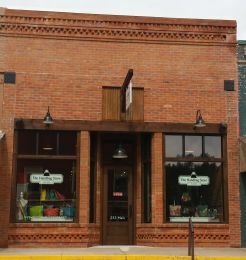 The Handbag Store was established in 2013 as your destination to find handbags, jewelry, scarves, caps, kids items & handcrafted fabric items. Handbag lines include AmeriBag, American West, Baggallini, Bella Taylor, Cappelli, Cowgirl Classics, Hedgren, Kavu, Maruca, Montana West, Stephanie Dawn & many more! We support USA made products through our rough cut leather crossbody line, Cowgirl Classics, Maruca, Jewelry with Soul, Inspirational Jewelry, SD Made earrings & necklaces, Stephanie Dawn, Bling cuffs & our local handcrafted fabric items.